On the 8th of June, Cedefop released the results of its new Skills Forecast up to 2030. On this occasion, a high-level event took place in Brussels (Résidence Palace). This high-level event presented the latest results of Cedefop ’s Skills Forecast and discussed key sectoral and occupational trends, job openings across countries and their impact on skill needs by 2030. 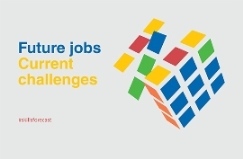 Thanks to collaboration with Eurofound, a specific focus on the future skills needed in different types of jobs, utilising the European Jobs Monitor Framework was provided. Emerging issues and future challenges for the world of work, and the implications for skills, employment and growth policies in the EU were also debated in a high level policy panel. The key messages from Cedefop Skills Forecast were communicated through our latest briefing note. Below, you may find Cedefop's and Eurofound's presentations.